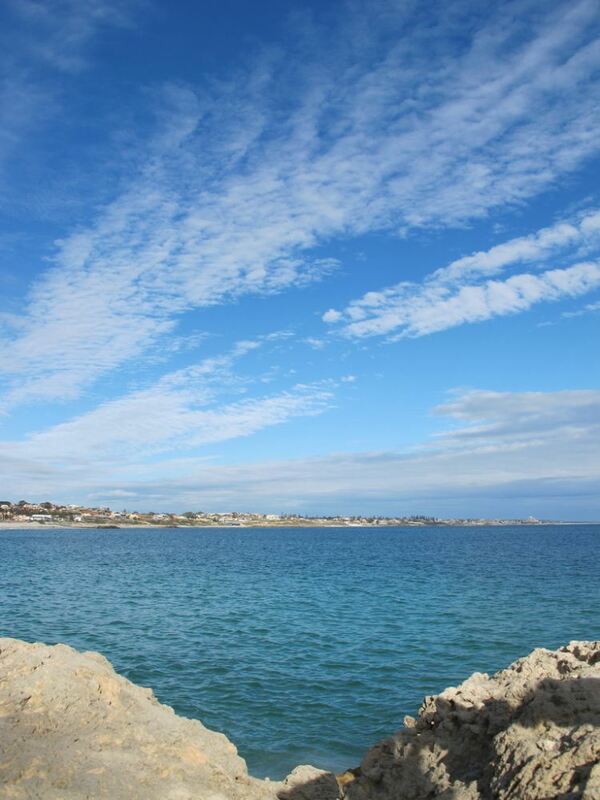 10km coastal walk from Scarborough to Sorrento Quays, skirting one of Perth's beautiful bays on grass, sand, terracotta paths and climbing walkways. Don't attempt this walk in the midday heat. The following is Julie Clarke's piece on walking here, which was an entry we much enjoyed for our 2011 Travel Writing Competition. Thank you, Julie, for bringing this walk to our attention! I've coined the term 'tralk' for this article as, depending on the time of year; it can either be a trek or a pleasant walk. Scarborough beach in Western Australia is arguably one of the most beautiful stretches of the soft beige stuff in the world. It's from Scarborough that the 10km pathway to Sorrento Quays (aka Hillary's Boatyard) begins. During the summer months the heat at 7.30am is a comfortable 29 degrees Celsius and that's when you'll see the devoted locals speed walking, jogging, running and cycling. By 3pm the mercury rises to a searing 40 and only mad dogs and tourists will be found trekking the purpose made terracotta pathway. Standing on Scarborough beach with the amphitheatre behind you can see the final destination in the far distance to the right of the blue expanse. The sand feels like hot velvet beneath to the soles of your feet and as the waves come tearing towards the shore they rise to resemble solid walls of turquoise render. To the road side of the beach is the covered roman style amphitheatre made from large sandstone blocks that make the eyes squint nearly as much as the bright dry sand. Those needing respite from the sun take refuge there and you'll often see crowds of theatre goers for the free pantomimes and plays. 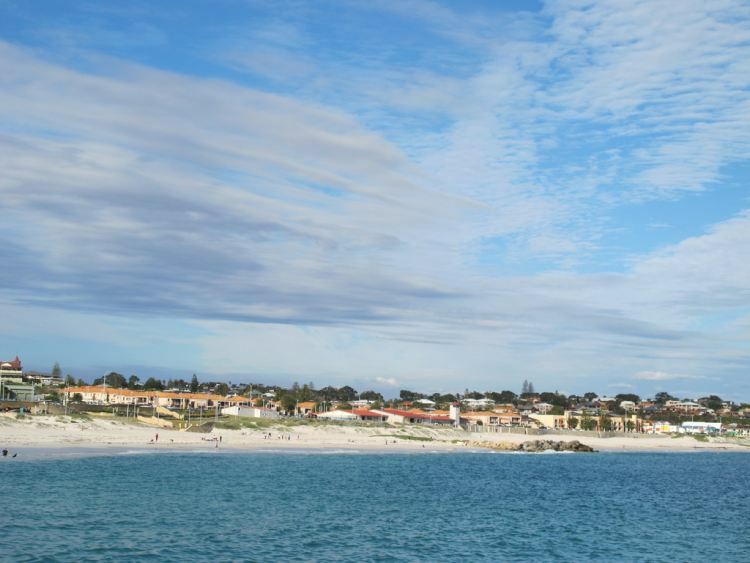 Behind the amphitheatre is the tallest building outside of the Perth City area; The Rendezvous hotel complex complete with bars, restaurants and surf shops. It's the only part of the walk that could possibly remind you of tourist soaked areas such as Benidorm or Sydney. 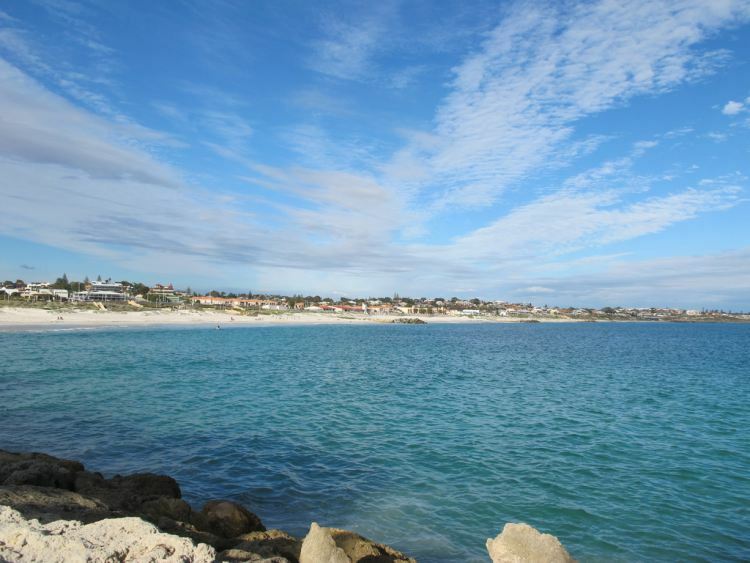 Michael Jackson was said to have attempted to learn to surf here and whenever famous names pass through Perth on tour, you can guarantee they will take time out to visit this little bit of paradise. 'Sunnies' (the local name for sunglasses) are a must when walking from the beach up the steep tarmac gradient that marks the start of the official walkway to Hillary's. 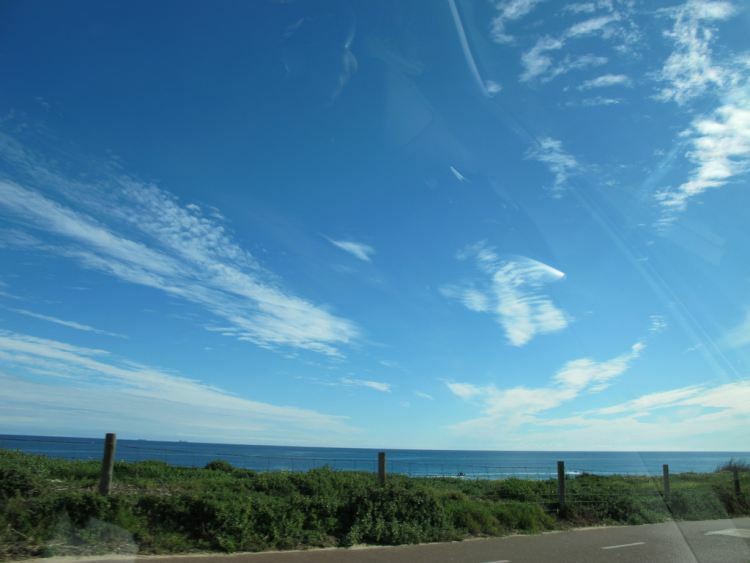 The landscape during the ten minute walk to Trigg changes so that the walker is accompanied by a stream of traffic that is the famous West Coast highway. Care must be taken to stay left during this section of the walk as its downhill and the cyclists don't like to slow down. It?s not unusual to jump out of your skin when an erratic cyclist rings the bell madly because you've accidentally drifted over into his territory. The bollards at Trigg end the speed ride for the cyclists in readiness for the open expanse of the Life saving club. The highway has to snake around in the distance behind the large car park and clubhouse. The restaurant sits across the open paved and lawn area on high sand dunes allowing diners a magnificent ocean view. Groups of headless chickens that are the under 7s surf school pupils practice their skills on the grass between the dunes and the clubhouse. Designers must have walked this route and been inspired by the baby blue Simpson's sky with its random fluffy clouds that hang harmlessly and the shades of the ocean that vary from pure turquoise to deep blue. From there the walkway expands into four lanes where skateboarders, walkers, runners and cyclists share the space efficiently. The west coast highway is still in the far distance behind Clarko reserve; a wide green area where families let little ones run around safely, teenagers gather and use the council owned BBQ's and groups of boys have enough room to play the local version of football - Aussie Rules. Just five minutes later the highway resumes its place to the right and the ocean is lower on the left with the waves crashing onto rocks instead of beach. After a heart rate increasing climb up another steep incline the slope downwards leads to the Bayside aquatic and marine club that is a sixties concrete eyesore jutting out from the rocks and deserves to passed by rapidly. A change in the air is noticeable here too; it actually smells less of coconut oil and toasted bodies and more of sea air and fish. The Yelo Cafe at North Beach is the first of the desirable stops along the trek; it's as laid back as a teenage boy and has a no frills approach to serving the creamiest, sweetest strawberry milkshakes and tasty frittatas. You can take respite from the thirty something temperatures by lounging on a sofa or sitting on the shaded, sea facing terrace to work out where the sea ends and the sky starts. Back on the terracotta tarmac towards Sorrento, the rocky shoreline is interspersed with patches of sandy beach filled to the brim with parents and toddlers. The shallow waters amongst the rocks and the calm pools lure them by the dozen. A gentle incline takes us past the desirable Marmion aquatic and diving club that also juts out on the rocks but looks far more in keeping with the geometric state of the art houses that stand proudly on the other side of the highway. The pathway is so steep from the sailing club up to the peak at Sorrento that even the seasoned cyclists have to stand and ride with gritted teeth. Walkers greatly appreciate the covered seating area with its awesome views at the top of the incline and depending on hand-eye coordination the vertical water fountain is a blessing for those foolish enough to walk without a bottle of water. The next kilometre of the walkway is quiet because it's been cut into the rock face so the highway is metres above and the ocean several metres below. Where the highway rejoins the terracotta path, the houses on the other side of the road really start to catch the eye. Each architectural masterpiece has floor to ceiling tinted windows of varying shapes and sizes and one or two balconies even boast free standing telescopes for the once a month dark sky when even the tiniest star is visible. Embedded between the palatial residences is one of the capital's most frequented sea view restaurants; the Soda Lounge. Who wouldn't want to chat the afternoon away sitting on the first floor balcony overlooking the pedestrians, Harley Davidson riders and watching the jet-skiers? Then at sundown you can watch the large orange globe fall into the end of the Earth. The remaining walk to Hillary's is more or less flat if not slightly downhill and the children's water park and the bright signs advertising the restaurants and bars can be seen clearly with the naked eye. 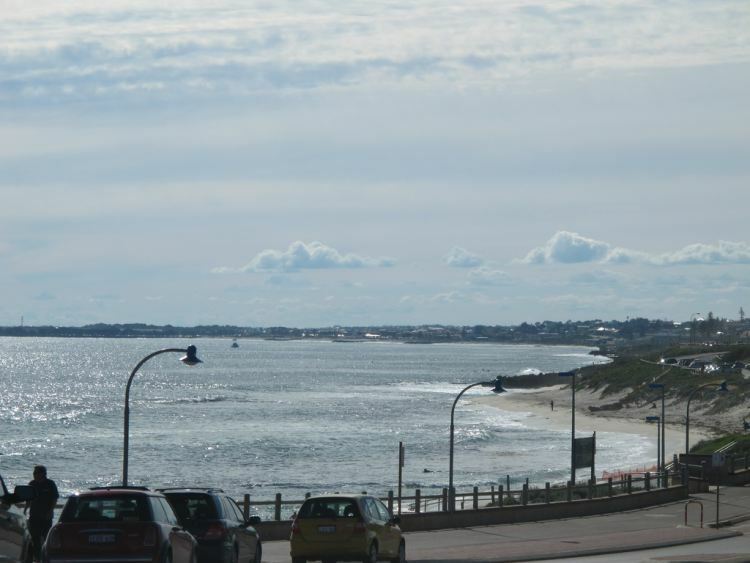 Just before the large perennially busy car park at Sorrento Quays, the path winds back into single lanes as it passes through the surf and life saving club positioned directly between the car park and the ocean. The zebra crossing from the car park marks the end of the walkway into the big business chaos of tourists enjoying the coffee and shops at Sorrento Quays.